It was a day of unity in the Tamil Nadu Legislative Assembly. The treasury and the opposition benches spoke in one voice against the Centre and neighbouring Karnataka, and strongly opposed the construction of Mekedatu dam, during a special session of the legislative assembly on Thursday. The special session unanimously passed a resolution condemning the Centre for allowing Karnataka to prepare the Detailed Project Report (DPR) for constructing a new dam at Mekedatu across the Cauvery river and demanded that it be withdrawn. The session has sparked a row and a face-off between Tamil Nadu and Karnataka over water sharing. According to water resources department officials in Tamil Nadu, the construction of a dam across the Cauvery in Mekedatu will spell doom for the state. “Recently, after the heavy spell in the Cauvery catchment areas and Karnataka, we received around 70 tmc ft of water just in July. If Mekedatu, which has a storage capacity of 67tmc ft, had been constructed we would not have received even 10 tmc ft. While it is touted that the dam is to take care of the drinking water requirements of Bengaluru, it will cause complete drought in Tamil Nadu’s delta,” says a senior official. A specially convened session of the assembly unanimously passed the resolution moved by Chief Minister K. Palaniswami on Thursday evening after a brief discussion. Leaders of various parties expressed their concerns and views in the house about Karnataka's move, and narrated how it would affect the livelihood of the farmers in Tamil Nadu. 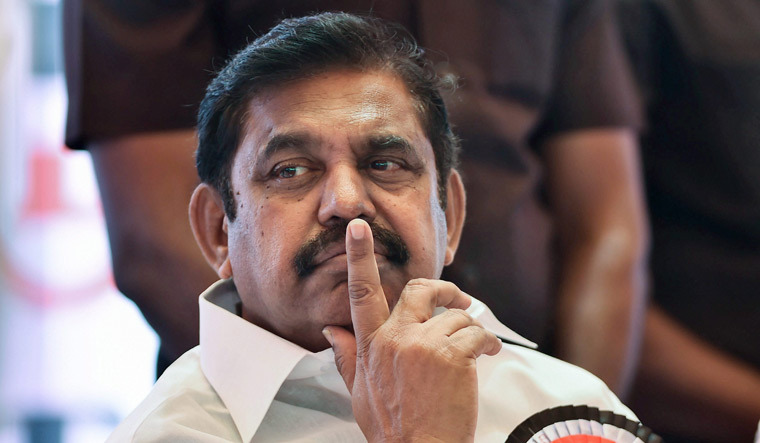 Moving the resolution, Palaniswami recalled that the state assembly on earlier occasions, in December 5, 2015 and March 27, 2015, had adopted unanimous resolutions against Karnataka stating that it should not construct a new dam at Mekedatu. “Despite the Supreme Court judgment that the upper riparian states should not implement any projects without the consent of the lower riparian states, as well as the resolution passed by the assembly, the Karnataka government has proposed to commence preliminary works to construct a dam at Mekedatu,” the resolution pointed out. It also urged the Union ministry of water resources to immediately order the Central Water Commission (CWC) to withdraw the permission given to Karnataka for the DPR. Earlier, speaking on the resolution, leader of the opposition and DMK president M.K. Stalin, thanked the government for convening the special session and said it was regrettable that the CWC has granted permission to Karnataka for the DPR.